In this past week I was asked to comment on not one, not two, but three articles in the mainstream media concerning issues of language. First came a call to reflect on an article in The Age, an Australian newspaper, written by an Australian academic Dean Frenkel. The gist of his proposal is that “our [Australians’] forefathers regularly got drunk together and through their frequent interactions unknowingly added an alcoholic slur to our national speech patterns”. Insulting to English speakers “Down Under”? No doubt. Any truth to his claims? Not a shred. The second article was published in The Guardian, arguably Britain’s newspaper of record. Published in the “Language” column of the Science section, this piece is also written by academics (Paul Ibbotson and Michael Tomasello) rather than by a science journalist reformulating what he or she has read in an academic article. The title of The Guardian piece, “The roots of language: what makes us different from other animals?”, further suggests that the content would reveal some deep understanding of what language is and how it works. But it doesn’t. The third article appeared in Newsweek, another respectable and widely read publication. 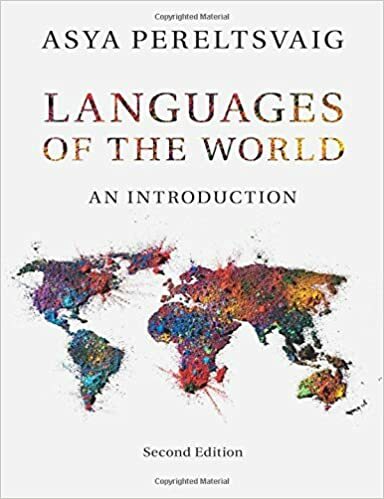 Titled “Differences of Human Languages Driven by Climate and Environment”, it too promises to tell the readers everything they’ve wanted to know about language or at least about linguistic diversity. (I was actually asked to comment on a piece summarizing the Newsweek article on the Russian-language news site, Lenta.ru. Its title, translating as “The main reason for differences among languages has been named”, is even more grandiose.) The content of the article, as you might have guessed, also falls short on the title’s promise. What it does is review a study that correlated the content of sound inventories and syllable structures to environmental factors (temperature, humidity, vegetation and the like). Earlier analyses along the same lines relating sound inventories to geographical factors such as altitude and distance from Africa have been proposed by Caleb Everett and Quentin Atkinson, respectively. 1. Who is it by? While it is true that in science ideas are more important than authority, scholars are still expected to get some training in, or at least know a fair amount about, their subject. Thus, physicists generally limit their scholarly writings to physics, evolutionary biologists to biological evolution, and economists to economics—but everyone, it often seems, somehow feels qualified to write about language (Murray Gell-Mann, Mark Pagel, and Keith Chen come immediately to mind). Like any other scholarly subject, language presents a multifaceted, intricate and sometimes convoluted set of problems, the understanding of which requires a certain amount of intellectual immersion, disciplined study, and terminological precision. In the words of Dennis Ott (commenting on a Facebook post about The Guardian article), “our subject matter isn’t one that anybody can just have an opinion on”. Despite what many non-linguists think, speaking a language is neither a sufficient nor a necessary condition for being able to study it scientifically or even talk about it rigorously and cogently. Yet opining about linguistics issues, and making whimsical and unsubstantiated claims about them in the process, is a popular, even fashionable, pursuit among many scholars in other fields as well as lay persons. In addition to the above-mentioned scholars, all talented in their own disciplines but not particularly knowledgeable about linguistics, consider the authors of the three articles under consideration: two were written by academics who are not linguists and the third was produced by a journalist whose grasp of linguistics is lacking, to put it mildly. Dean Frenkel describes himself as “a lecturer in public speaking and communications at Victoria University”, Paul Ibbotson is a lecturer in developmental psychology at the Open University, and Michael Tomasello is a developmental and comparative psychologist (and co‑director of the Max Planck Institute for Evolutionary Anthropology*). The Newsweek piece is penned by Zoë Schlanger, a reporter whose main interests, according to her bio website, are “in the intersection of health and environment”, not language; even during her time at NYU, she was more interested in “university infighting” than in linguistics (a shame since NYU has one of the best linguistics departments in the country). Sadly, journalists reporting on language rarely have adequate knowledge of the subject (see here and here, for further discussion). This does not mean that non-linguists can never write well on language-related questions. I am, for example, a great admirer of archeologist David Anthony’s work that incorporates solid discussions of linguistics issues. 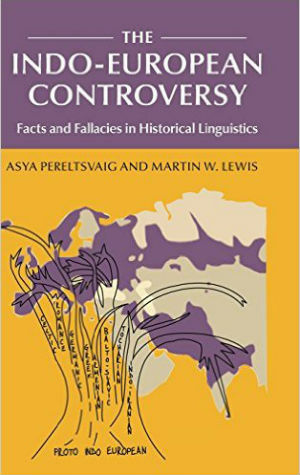 I have collaborated with non-linguists and have co-authored two publications with them: a monograph The Indo-European Controversy: Facts and Fallacies in Historical Linguistics with historical geographer Martin Lewis, and an article in Science with engineer Rory van Tuyl. But a lack of linguistic credentials by all the authors of a given piece on language does raise red flags. After all, if you have a leaking faucet, you call a plumber, not an electrician—so why not learn about language from people who have dedicated their professional careers to studying it? 2. Conflating concepts and misrepresenting theories. Like cardsharps who cheat at poker, authors of pseudo-linguistic articles often perform tricks to take advantage of less-informed readers. Among the most popular sleights of hand are conflating fundamental—and fundamentally distinct—concepts and misrepresenting theories, both those of their opponents and their own. Perhaps the most frequently confused notions are “language” and “words”; any credible linguist would tell you that language is not reducible to words, grammar being as important, if not more so (see discussion of this problem in my earlier post). Language is also commonly conflated by pseudo-linguists with sound systems or sound inventories. This is exactly what the Newsweek article and its Russian version on Lenta.ru do. 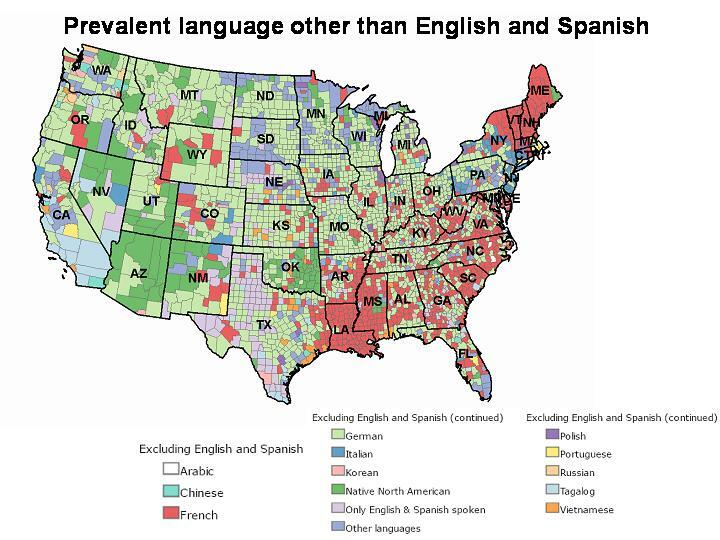 For example, Schlanger writes: “the characteristics of languages have a lot to do with the environment”. This is not true: while characteristics of sound inventories may have something to do with the environment (which I am not at all convinced of; see below), a sound inventory is just one of many characteristics of a language. Other aspects of a given language, such as agglutinative morphology, the presence of vowel harmony, verb-final order, or the presence of differential object marking (all of which are characteristics of both Turkish and Sakha, spoken in very different environments) clearly cannot be ascribed to the environment. Moreover, the distinction between language and sounds is clear from sign languages, which do not use a vocal apparatus at all, yet have all the hallmarks of a natural language (see Sandler & Lillo-Martin 2001 for a detailed discussion). Yet another telltale sign of pseudo-linguistics is a conflation of sounds and letters. 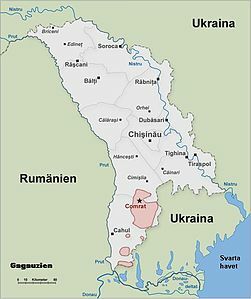 Sometime in elementary school it was drilled into me and my classmates that “Звуки — это то, что мы говорим и слышим, а буквы — это то, что мы читаем и пишем” (“Sounds is what we say and hear, letters is what we read and write”). But all too many journalists penning pieces on language are not clear on this distinction. For example, as Frenkel writes about the origins of the Australian accent: “The Australian alphabet cocktail was spiked by alcohol”—yet “alphabet” refers to letters, not sounds, and Australians use the exact same alphabet as the British and the Americans. To make matters worse, when pseudo-linguists do offer specific linguistic data, their examples are more often than not seriously bungled. Take Frenkel’s claims about Australian accent; he writes: “The average Australian speaks to just two thirds capacity – with one third of our articulator muscles always sedentary as if lying on the couch”. Let’s set aside for the moment the well-established fact that a great many historical sound changes across the world’s languages have been driven exactly by the general human propensity to keep “our articulatory muscles … sedentary” (I speak, of course, of lenition). But this propensity to replace sounds that are “harder to pronounce” by those “easier to pronounce” has a very particular articulatory definition: for example, with consonants lenition may amount to spirantization (i.e. a change from a stop consonant to a fricative) or debuccalization (i.e. loss of the oral place of articulation). What then does this alleged tendency of Australian speakers to keep “articulator muscles … sedentary” amount to, specifically when the articulation of vowels is concerned? As one of the main components of vowel articulation is the height (i.e. the relative position of the tongue/lower jaw), which height is to be considered “as if lying on the couch”? Frenkel’s answer is self-contradictory: one of his examples of “many of our vowels … lazily transformed into other vowels”—[ɛ] instead of [æ], as in standing—involves raising the tongue, while another—[aj] instead of [ej], as in New South Wales— involves exactly the opposite articulation, that is lowering rather than raising the tongue. Similar misunderstanding by pseudo-linguists of the linguistic data used to elucidate their points can be found in the opening paragraph of Schlanger’s Newsweek article. Consider her example illustrating the statement that “… words with lots of consonants and complicated syllables would likely get garbled, swallowed up by the noise around you, blocked by the throng of bodies and kiosks and other objects in your way” while words with fewer consonants (and more vowels!) and simpler syllable structure are likely to get across better despite blocking environmental objects, such as buildings or trees. Schlanger exemplifies the former sort of word by unequivocally and the latter by yeah. However, the only real relevant difference between these words is their length: both words actually have the exact same 1:1 consonant-to-vowel ratio (6 consonant and 6 vowel sounds in unequivocally, and one of each in yeah) and roughly the same types of syllables (unequivocally features one onset-less syllable, and one with a consonant-glide sequence in an onset, but both words have only coda-less syllables). In fact, had she chosen yes rather than yeah, it would have a higher consonant-vowel ratio (2:1) and a more complex syllable structure despite being shorter than unequivocally. But length is typically seen as beneficial (in a noisy environment) in that it introduces additional redundancy. A good example is the French word aujourd’hui ‘today’, literally ‘on the day of today’, discussed by Trask (2010: 24-25): the original word for ‘today’, from the Latin phrase *hoc die (literally ‘on this day’) got reduced to a mere “ui” in pronunciation (“by the time of the first Roman emperor, no Latin speaker was pronouncing aitches any more”, Trask writes) and so it had to be augmented to create “a more substantial way of expressing that concept”. Moreover, languages that restrict possible syllable structures to coda-less syllables tend to have longer words, exactly to increase redundancy and therefore improve safe transmission in noisy environments (my favorite example is Hawaiian’s humuhumunukunukuapua’a, the official state fish of Hawaii). Than he who leaves his trade, his neighbor’s job to spoil. *Curiously, the Max Planck Institute for Evolutionary Anthropology in Leipzig used to have a linguistics department (led by a renown linguist Bernard Comrie), whose main focus was on “the diversity of human language and the historical processes underlying this diversity” (as its website states). Since 2015, this department no longer exists, for reasons I won’t discuss here. Colarusso, John (1992) “How many consonants does Ubykh have?” In: George Hewitt (ed.) Caucasian perspectives. Unterschleissheim: Lincom Europa. Sandler, Wendy & Dianne Lillo-Martin (2001) Natural Sign Languages. In: Mark Aronoff & Janie Rees-Miller (eds.) The Handbook of Linguistics. Blackwell. Pp. 533-562. Trask, R. L. (2010) Why Do Languages Change? Cambridge University Press.